For over 70 years, commercial and industrial customers have chosen Cox-Powell for our professional HVAC service and time-saving, money-saving, and equipment-saving solutions. Shouldn’t you? With friendly and helpful staff, highly trained expert technicians, and cutting-edge technology in the field of HVAC, you can expect only the very best from your Cox-Powell experience. 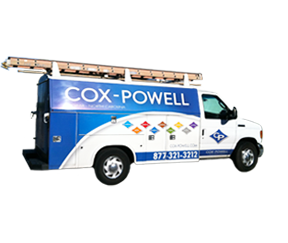 The many benefits of working with Cox-Powell start with YOU. Every job is different and every client is unique so every project deserves customized care and solutions.